Ecce had so much fun making this music, that they intend to continue "talking to themselves" indefinitely. "In the marginalia, too, we talk only to ourselves; we therefore talk freshly–boldly- originally–with abandonnement–without conceit"
Ecce began making "Marginalia" without the express intent of ever releasing it. Time limited, bound to the reality of day jobs, and wanting the composition and recording of music to be something unencumbered with the eventual realisation of it having an audience, Nicholas and Tim began spending what little spare time they had divining tones from Nick's modular synthesizer, and playing with Tim's old tape machines and drum kits, purely for their own enjoyment. 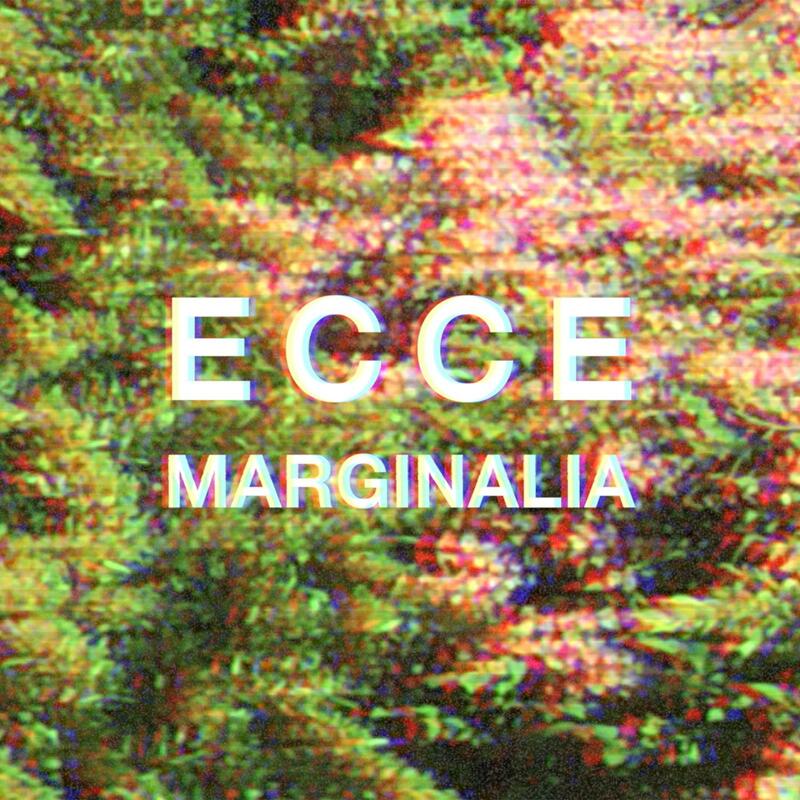 In spite of, or perhaps because of, "Marginalia" being something that had to be created in the margins of Ecce's lives, it represents their best music to date by some stretch. "Decades" bottles psychedelic sunshine and serves it with muscular drumming and industrial synth noises. "Ca Ne Marche Pas" morphs from an acoustic-led ballad of brokenness into a synthesized cacophony. There's dynamic electronic pop in "Ghosts", "Knives" and "Hector", all of which take as much energy from their electronic instruments as they do their acoustic ones. The 8 minute centrepiece "In The Margins" typifies "Marginalia's" modus operandi: multi-coloured, kaleidoscopic, reveling in morphing sonic palettes but rooted in a simple melody. Ecce had so much fun making this music, that they intend to continue "talking to themselves" indefinitely. Every so often, as with "Marginalia", they may extend the conversation. All songs by Lisher / Adams except Marginalia, To a fault and Headrush by Lisher. Mixed by the very handsome Dan Cox at Urchin Studios. Mastered by the equally handsome Matt Colton at Alchemy Mastering. Nicholas says: "Thanks to Dan, Matt and all the guys at Tirk/August Day." Tim says: "We should probably thank our wives in the liner notes."